Criminal Defense Attorney Philadelphia | Attorneys in PA, NJ. Meyerson and O’Neill has substantial experience in defending individuals accused of committing all kinds of criminal offenses, including white collar crimes, drug charges, including possession and distribution, assault, robbery, driving under the influence (DUI/ DWI), and other serious felonies. The firm offers a full range of criminal defense representation in addition to trial, including criminal appeals and representation of individual and corporate clients who have received notice that they are a target or subject of a Federal Grand Jury investigation. The firm in numerous instances has been successful in resolving investigations without criminal indictment. 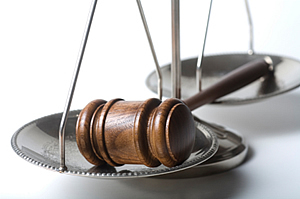 One of our attorneys has extensive courtroom criminal jury trial experience. Jack Meyerson, Esq. is an experienced trial attorney. He has tried cases in federal and state court for more than 35 years since graduating from Harvard Law School in 1972 and from Princeton with honors in 1969. Mr. Meyerson has a high success and acquittal/not guilty rate. Illustrative federal criminal cases handled by the firm have involved a wide variety of alleged wrongdoing including tax evasion, failure to file income tax, political and labor union corruption, falsification of records by security management at a nuclear power plant, falsification of production records at a pharmaceutical manufacturer, environmental and pollution violations, and currency, money laundering and financial disclosure violations. Our defense attorneys have also obtained not guilty acquittals of numerous serious felony crimes in Philadelphia and surrounding counties, as well as nearby New Jersey counties. Our criminal defense attorneys have also obtained dismissals and not guilty acquittals of numerous serious felony crimes, including drug distribution, kickbacks in the auto appraisal and repair business, aggravated assault on a police officer, robbery, assault, and DUI in Pennsylvania, including Philadelphia and the surrounding counties, as well as in nearby New Jersey counties. We have also successfully defended juveniles charged with committing felonies and misdemeanors. If you would like us to review the charges against you and plan your defense, please contact us via our form or call 888-773-3515 and ask to speak with a criminal defense attorney.